Tonight, December 19, is a family dinner with Grandma and Daddy’s family! What can you make today, to take to dinner tonight to surprise everybody with? Be creative! 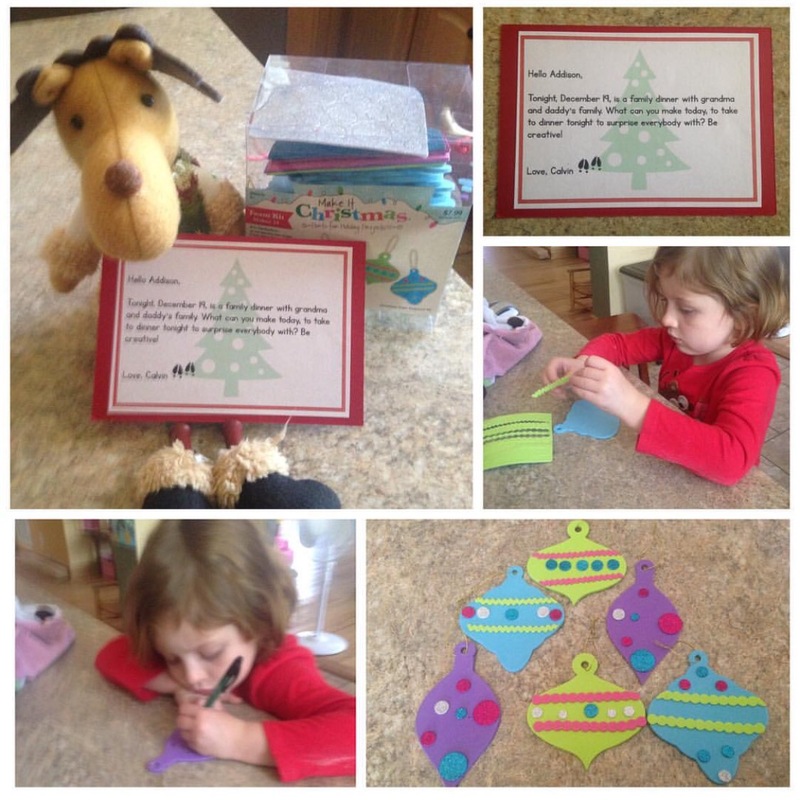 She made these cute ornaments for the family dinner. When we got there, she passed them out to her aunts and uncles. And Grandma got one too! !